Then – This is a circa 1937 photo (CCHS #0134) of the north side of the 100 block of Scioto Street in Urbana. Moore’s Business College was at 100 Scioto St. 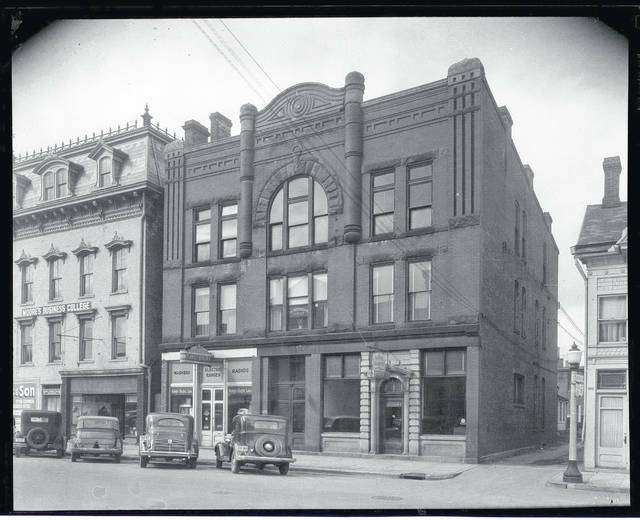 In the next building was Parllete Electric Company at 104 Scioto St., then Miami Granite Co. at 106 Scioto St. and Dr. Poffenberger, Dentist, at 106 1/2 Scioto St. Note the decorative street lamp at the corner of the alley entrance. Photos courtesy of the Champaign County Historical Society. Now – This 2018 photo is of the same location, now occupied by the Peoples Savings Bank. Note the street lamp here compared to the one in 1937. The Champaign County Historical Society is an all-volunteer, not-for-profit organization that preserves, protects, archives and displays the artifacts that tell Champaign County’s history. The society operates on donations and dues and has a free public museum of history at East Lawn Avenue in Urbana. https://www.urbanacitizen.com/wp-content/uploads/sites/36/2018/11/web1_Then.jpgThen – This is a circa 1937 photo (CCHS #0134) of the north side of the 100 block of Scioto Street in Urbana. Moore’s Business College was at 100 Scioto St. 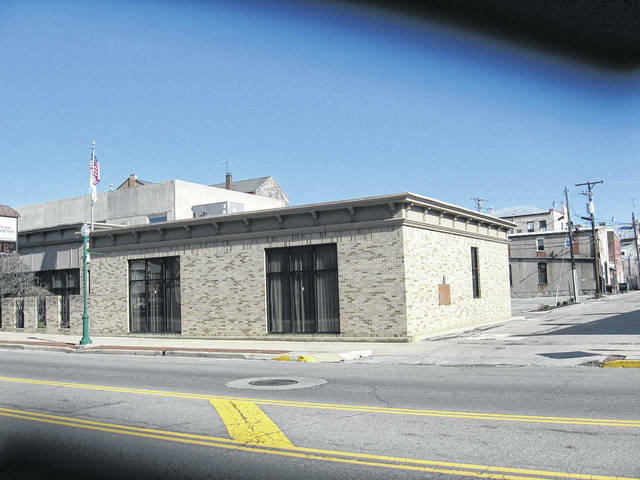 In the next building was Parllete Electric Company at 104 Scioto St., then Miami Granite Co. at 106 Scioto St. and Dr. Poffenberger, Dentist, at 106 1/2 Scioto St. Note the decorative street lamp at the corner of the alley entrance. Photos courtesy of the Champaign County Historical Society. https://www.urbanacitizen.com/wp-content/uploads/sites/36/2018/11/web1_Now.jpgNow – This 2018 photo is of the same location, now occupied by the Peoples Savings Bank. Note the street lamp here compared to the one in 1937. The Champaign County Historical Society is an all-volunteer, not-for-profit organization that preserves, protects, archives and displays the artifacts that tell Champaign County’s history. The society operates on donations and dues and has a free public museum of history at East Lawn Avenue in Urbana. Photos courtesy of the Champaign County Historical Society.